Now that spring is officially upon us, the entire team at Fazzino is excited to experiment with tropical designs and vibrant colors to kick off warmer weather! 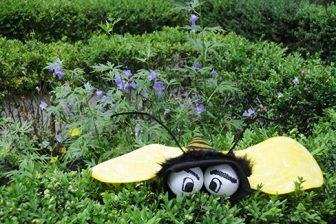 If you could use a little help coming out of the winter blues and welcome spring fever, check out Fazzino’s latest piece: Kawaii in Hawaii. 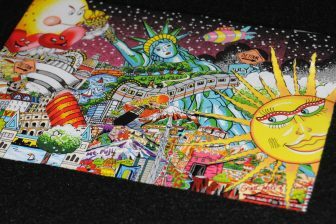 With bright color schemes and playful cartoon illustrations, this new release perfectly captures all of the feel good vibes of warmer days ahead. With warm weather on our mind, we’ve been inspired by both Kawaii in Hawaii and Linda Meo’s art lesson plan to create a step by step guide for readers to create their own little piece of paradise. 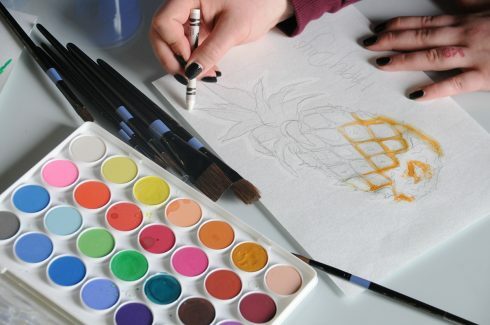 Follow along as we explain Fazzino’s next Art Challenge: The Watercolor Pineapple! 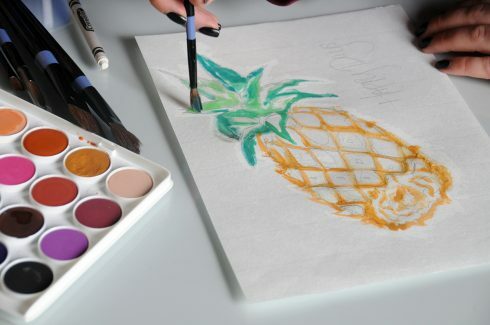 Sketch the pineapple body with a pencil or crayon. 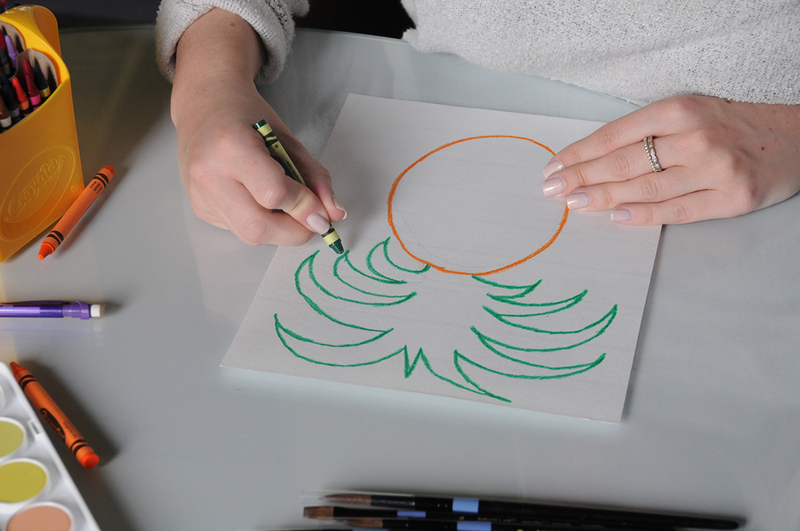 Pineapples are usually longer than they are wide, so imagine you’re drawing a large oval. Remember to leave enough room to add a stem on top. You can jump right in with the watercolor here or use a crayon to darken the edges. 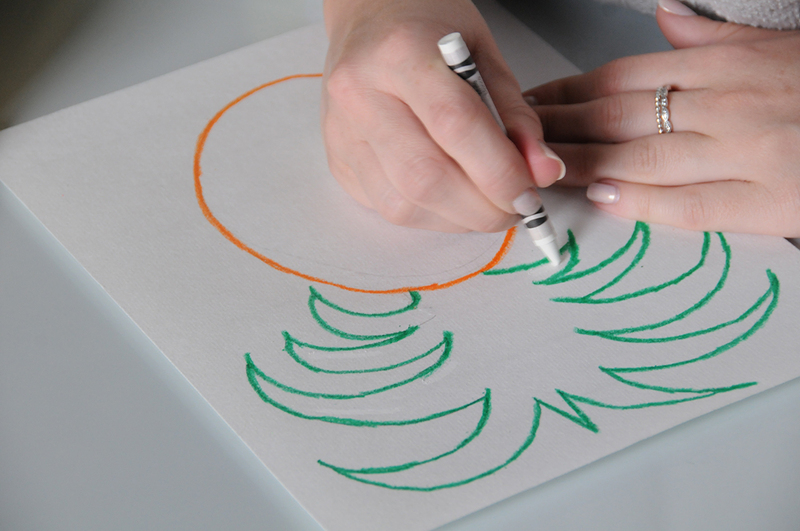 Draw the pineapple leaves with either a crayon, pencil, or using watercolor paint. 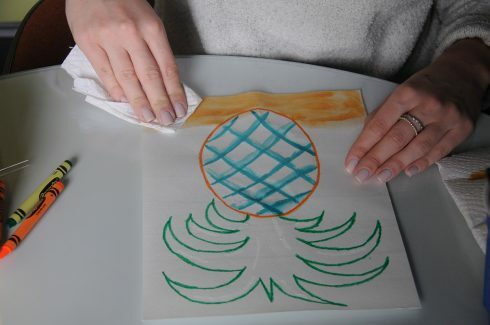 Here’s a secret step of decorating your pineapple. 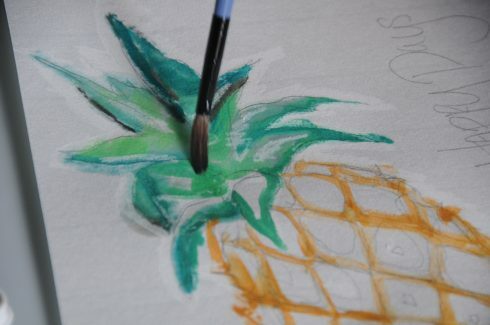 With a white crayon, add a few lines throughout the pineapple and leaves. 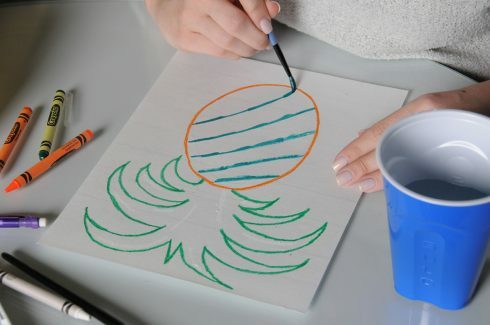 This will create a barrier that will only show up once watercolor paint is added. Think about where you don’t want to have watercolor, like in a negative space. Perhaps you’d like to set up a buffer around your fruit to separate it from the background color. 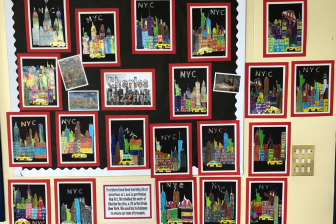 You can also add the crayon ahead of time to the watercolor paper in random spots to reveal, like a “secret”, as Linda suggests in the lesson plan. 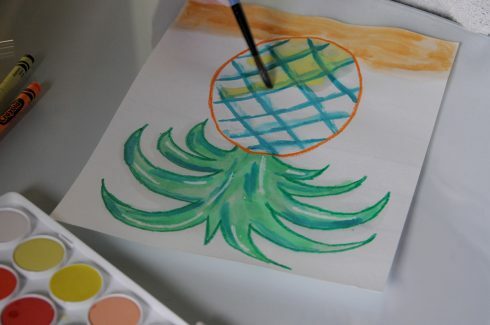 The green and orange of the pineapple in this case is also going to create a barrier, or resist, for the watercolor to stay inside of. Add details to the body of your pineapple. This could be simple lines or more complex shapes as shown below. Experiment with wet-on-wet and dry-on-wet techniques. 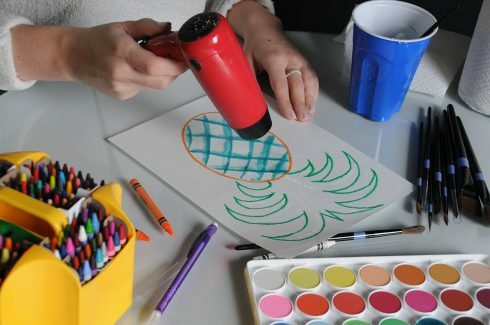 Use a hairdryer to help speed up the drying process. 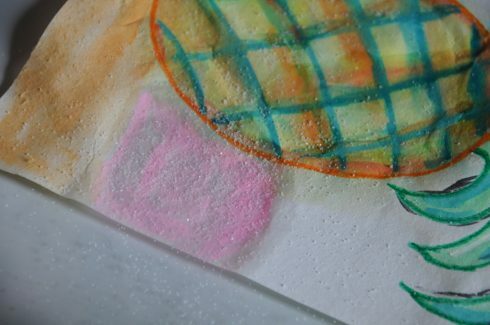 Use a paper towel to soak up or remove excess watercolor for various textured effects. Remember the secret lines we added with the white crayon? 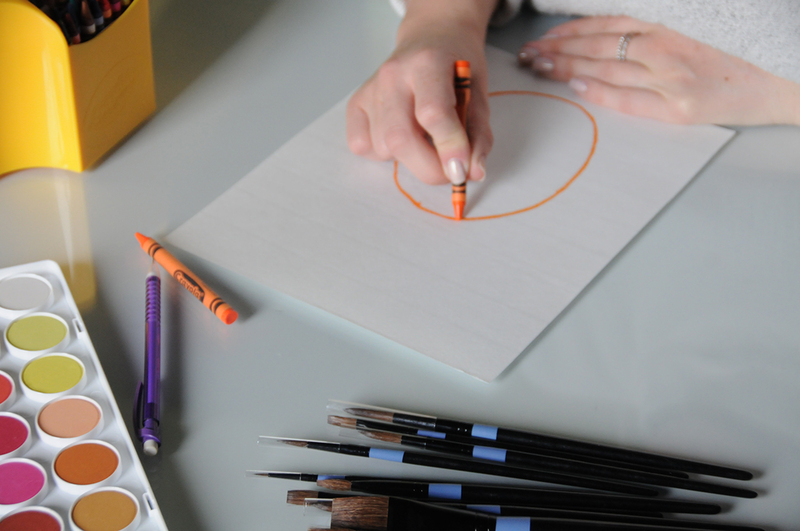 Watch closely as you paint over the crayon and how it resists the watercolor. If you’re a fan of texture, give the salt method a try. 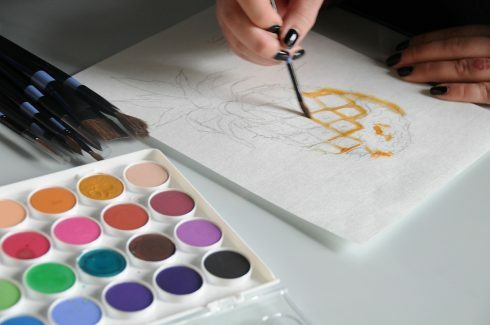 Add a small amount to wet watercolor on your paper, let it dry, and then wipe it off. The salt will gather and leave a pigmented texture. Keep working in layers of water and paint thickness to experiment with different painting techniques. We want to see what tropical pineapple you’ve made. Share your creation on Instagram using #FazzinoArtChallenge!